Located in the heart of the appellation Mercurey in Burgundy, Chateau de Chamirey has origins dating back to the eighteenth century. 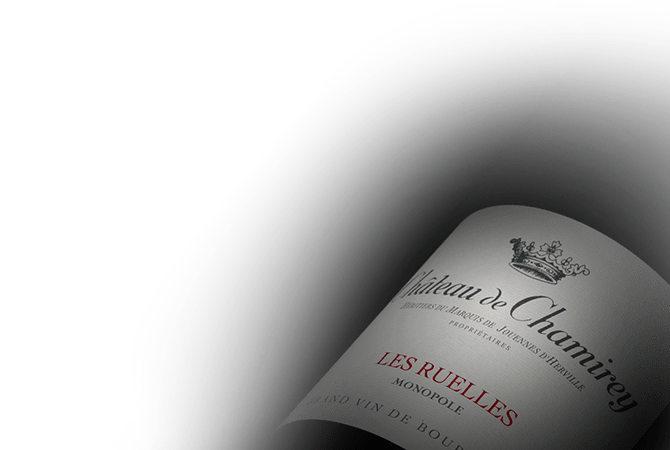 Owned by the Devillard family for the past three generations, the estate has thirty-seven hectares planted on the best terroirs of the appellation, comprised of twenty-seven hectares of red wine varietals and ten hectares of white. This includes fifteen hectares of classified Premier Cru. This is less well known than the wines of Côte de Beaune, but Chateau de Chamirey consistently proves their high quality and winemaking talent. Built in the 18th century, the historic Château Chamirey overlooks the charming village of Chamirey. We can clearly see the influence of the Italians on the château’s architecture, but the gardens surrounding the castle are definitely French with their cone-shaped shrubbery dotting the geometrically landscaped greenery. A fire had destroyed the castle’s adjacent chapel shortly after it was built, and at that time, the Dupaty de Clam family sold the estate to the Marquis de Jouennes d'Herville family. As previously, mentioned, the property is now in the hands of the Amaury et Aurore Devillard, who represents the fifth generation of family ownership. The Domaine of Château de Chamirey consists of 37 hectares in Mercurey in which 27 are for red and 10 for white, with 15 of them devoted to Premier Cru. As we all know, those reds are Pinot Noir grapes and the whites are Chardonnay ones. Following Burgundian tradition, vineyards are planted with 10,000 vines per 2.5 acres. Because of this planting density and the average age of the vines being 35-years-old, this guarantees high quality wines. Each hectare claims some of the best terroirs in Mercurey, and each one represents a diversity of soils and provides a micro-climate. The finest expressions of this terroir is represented in their white Premier Cru «La Misson » and in their red Premier Cru «Les Ruelles».